Chocolate cake is a favorite flavor for many, including us. We have baked (and eaten!) a variety of chocolate cakes to fulfill our chocoholic cravings. But the flourless chocolate cake has been our most decadent dessert—so rich, velvety smooth and intensely chocolaty! 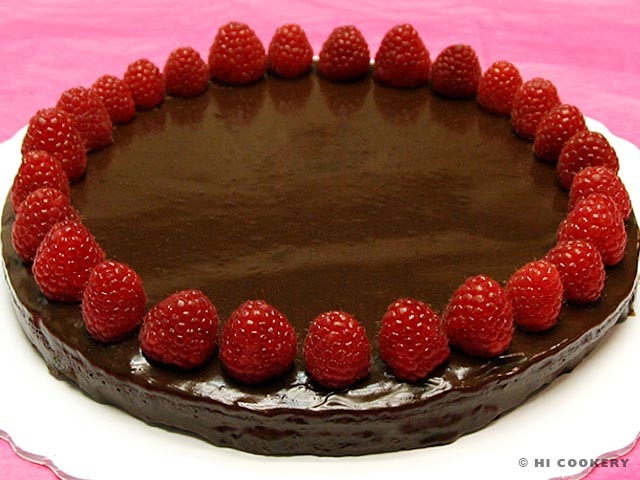 Right out of the oven, it looks brown and bland so we coated the cake in luxurious chocolate ganache and topped it with fresh, plump raspberries. It is surprisingly simple to make yet is an impressive treat for special occasions, on Valentine’s Day, which is coming up in a few weeks, and certainly on National Chocolate Cake Day. Line the bottom of a 9- or 10-inch springform pan with parchment paper. Mist the paper and sides of the pan with cooking spray. 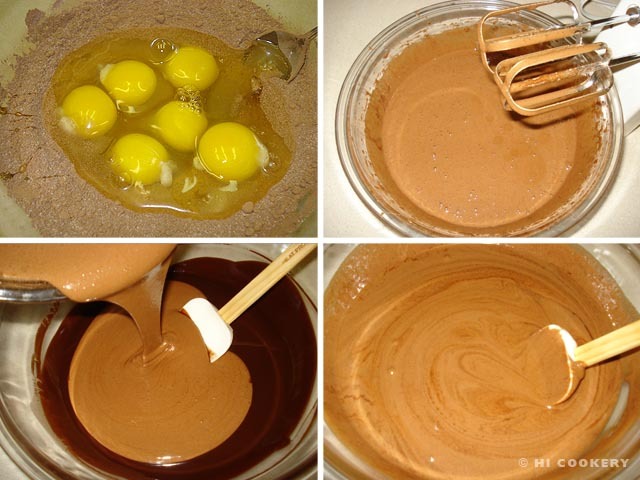 In a large microwave-safe bowl, melt the chocolate and butter. Stir until smooth. 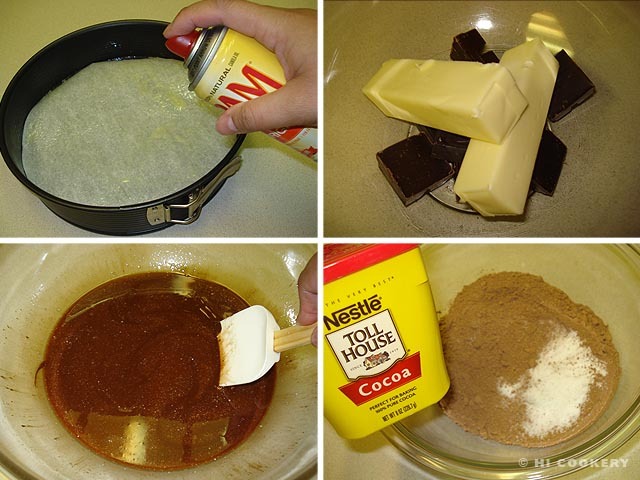 In another bowl, mix the sugar with the cocoa powder. Beat in the eggs to this mixture and blend well. Pour into the melted chocolate-butter mixture, stirring until smooth. Smooth out the batter into the springform pan. Place foil on the bottom of the pan to prevent leaks. Bake in a preheated oven at 350 degrees F for 40-45 minutes, testing for doneness with a toothpick. 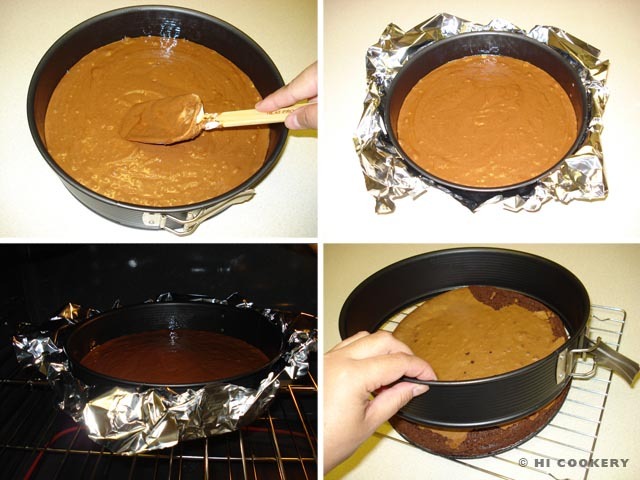 Remove from the oven and let cool for half an hour before removing the cake from the pan. Brush off any crumbs. Invert the cooled cake, bottom side up, onto a wire rack placed over a lipped baking sheet with foil. Prepare the chocolate ganache topping. 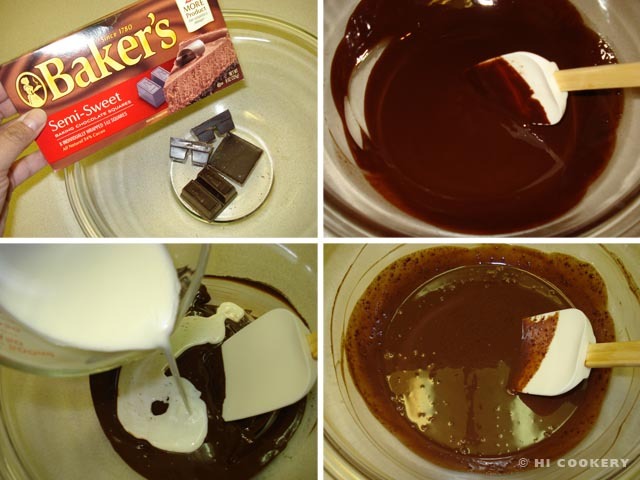 In a microwave-safe bowl, melt the chocolate. Stir until smooth. In a microwave-safe measuring glass, heat the cream for about a minute. Pour into the melted chocolate and mix well. Use immediately. 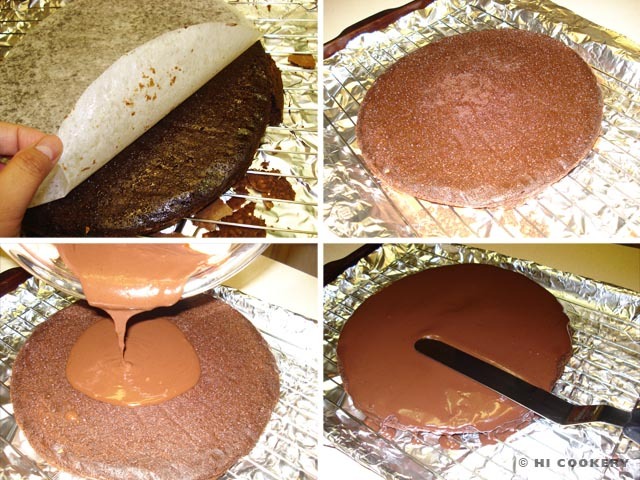 To decorate the flourless chocolate cake, peel off the parchment paper. Pour the chocolate ganache over the cake, allowing it to drip down the sides. Use a spatula to smooth out the top and sides. Carefully transfer to a cake board or plate. 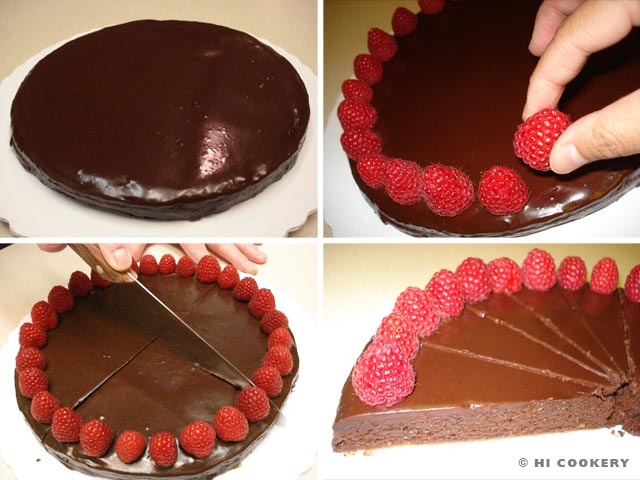 Let the ganache cool over the cake before decorating the edge with fresh raspberries (optional). Refrigerate until ready to slice and serve. This cake slices neatly and smoothly if the knife is wiped free of crumbs after each cut. As this is a rich cake, we usually slice it into 16 instead of 8 servings. The chocolate ganache topping is optional but lends a luxurious finish to the flourless chocolate cake. A dusting of powdered sugar over the top instead of ganache is another simple serving idea. See the similar Sacher Torte recipe for National Sacher Torte Day on December 5. Search our blog for more chocolate cake recipes.